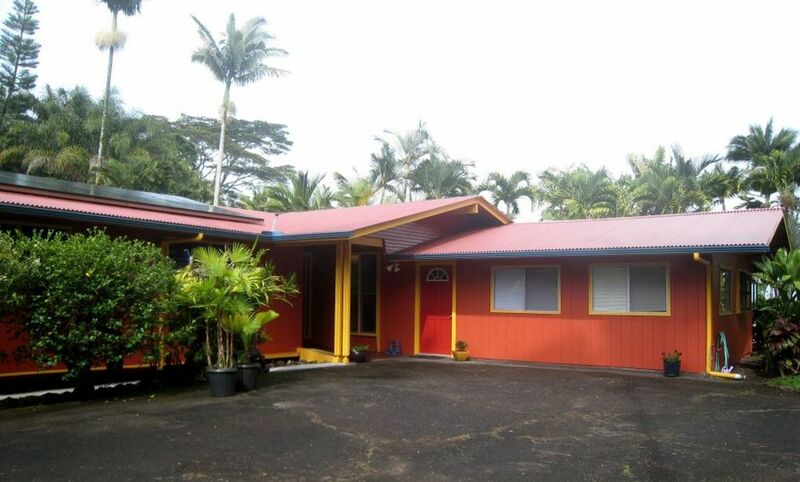 Spacious, newly renovated studio in a quiet Hilo neighborhood. The studio includes king size bed, private bath and kitchenette (toaster oven, fridge, hot plate, coffee and tea). Free WiFi and parking is available. Keyless entry. Our home sits on the Wailuku river and is walking distance to Boiling Pots State Park. It's about a 10 minute drive to downtown Hilo, 20 minutes from the Hilo airport (ITO) and 20 minutes to our local black sand beaches in Keaukaha. We love living on the Wailuku River, walking to the park and swimming in the river on hot days. We're excited to share this special location with others during their Hawaii journey. We are 15 minutes from the local swimming, snorkeling and surfing beaches. Added an 8 foot window in Jan 2018 for the ocean view! First time to use this type of service, and it was a bit difficult without being part of the digital world. I'd try it again. glad to host you Claude! Very well located on a quiet street. Fresh ground coffee was so nice. I would recommend this property. Glad you had a good stay and enjoyed the local coffee! Was a pleasure to host you! Our home sits on the Wailuku River and is walking distance to Boiling Pots State Park. If it's sunny and you're up for a hike we can point you to a sweet local swimming hole called Narnia. We are located near the mountains of Mauna Kea and Mauna Loa. It takes about 1 hour to reach the Mauna Kea visitor center from our home and is a beautiful place to stargaze, watch sunrise and sunset. Bring layers as it is cold up on the mountain and even snows a couple times a year at the very top! Our local black sand beaches are unique with large green sea turtles often sleeping in the lava rock or swimming around looking for seaweed to eat. We recommend walking up to Boiling Pots State Park, visiting the Kaumana Cave (lava tube) and Rainbow falls (all within 5 minutes of us). We also like Coconut Island and Liliukalani gardens for walking. The Pacific Tsunami Museum and Lyman House memorial museum are two small but local museums you may find of interest. Additionally, Imiloa Astronomy Center is 5 minutes from us. We recommend visiting Hilo Botanical Gardens while you're here and visiting Onomea Bay. If you'd like to venture a bit out of Hilo we recommend Akaka Falls State Park north of us and the Mauna Loa Nut Factory south of us. Enjoy your stay in Hilo!